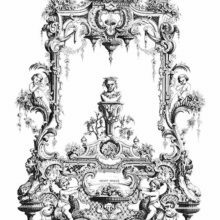 the attributes of Art and Literature are represented in the guise of a painter’s palette, a violin, a sculpture, books, and a classical column. 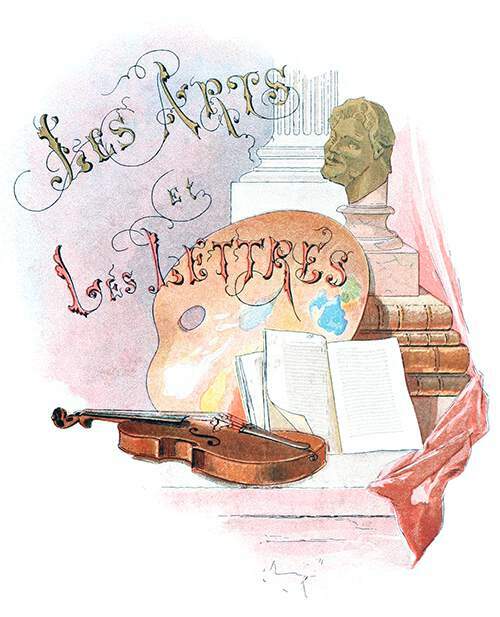 The title reads in the original French: Les arts et les lettres. 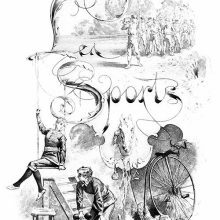 Various techniques were used in this book to reproduce the original illustrations by Paul Avril, including heliogravure and chromotypographic processes.